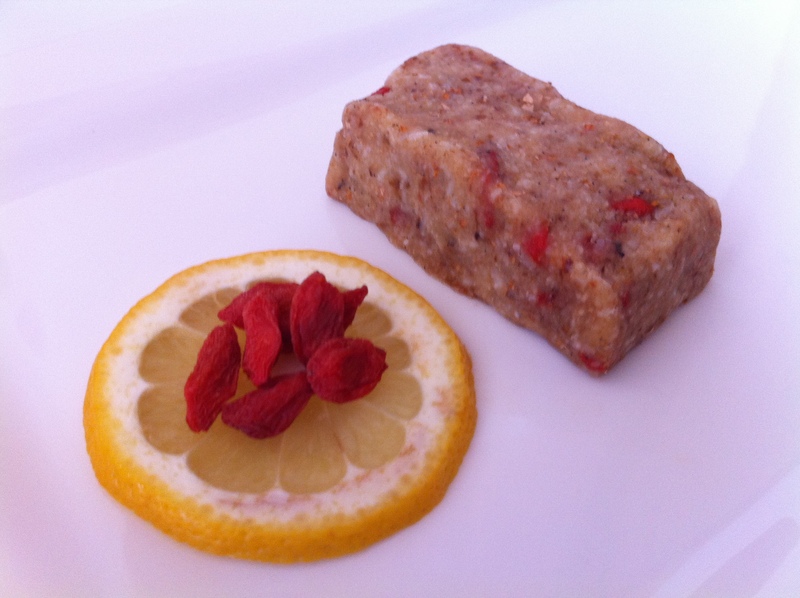 These raw, delicious energy bars provide fast and sustained energy. They are nutrient-dense, easily digested and are quick and easy to prepare. Blend all ingredients except goji berries together in a food processor. Remove mix and put on a clean surface, fold in goji berries. Flatten mixture with hands into desired bar thickness. Cut into bars, wrap and chill. Note: Unlike conventional energy bars, these bars will stay supple and chewy even when frozen and can be eaten straight out of the freezer.